I have to believe that the current Toyota brand trauma has resulted in many nervous boardroom discussions in other corporations around the world. I mean, how did one of the most sought-after and respected brands trip so badly and tumble so far. And have we even gotten to the real truth, yet? But as ever, here’s my point of view. 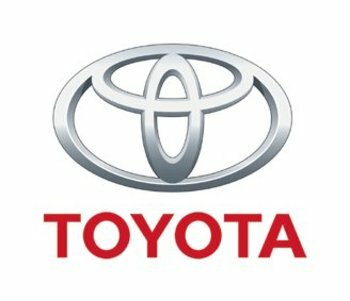 From everything I know about brand building generally and Toyota specifically. I’d put the cause down to an almost psychotic pursuit of becoming the biggest…at the expense of virtually everything else. And history has shown that a singular focus on bigness is often a disaster waiting to happen. And btw, what’s driving this need to be the biggest? It certainly isn’t consumers who are much more interested in factors such as quality and value and authenticity. Most likely, it’s driven by a combination of the machismo and the ego that can often flow from a company’s boardroom. And this focus on being the biggest goes back to a time when consumers actually respected big institutions…in fact at one time, the bigger the institution, the greater the respect. Wow!! How ironic therefore, that in today’s world, thanks to some appalling behavior recently in major business, church and government institutions, bigness now comes with many more negative associations. – Is it a viable long-term strategy to aim to be both the biggest and the best? – Or, does one have to choose between the two? – And if so, which strategy is the most appropriate to pursue? So let’s look at what’s happening in the marketplace where we see a number of different strategic twists and turns talking place around this topic. 1. There are a number of companies, and this is just over the past few weeks, that continue to talk about their aspirations of becoming the biggest. And to them, all we say is good luck. 2. There is another group of companies out there that were, until recently, hell bent on being the biggest but where we detect a shift to focusing more on being the best. To them, we offer our congratulations. 3. The third group of companies includes those that have always pursued a strategy of being the best, on the assumption that growth will follow and that size by itself is not a consumer pre-requisite. And we love them. Interestingly, we can see this tension between biggest and best being played out in the marketplace. Just look at the recent Kraft/Cadbury takeover saga, which at one level was a battle between a food company that aspires to be the worlds biggest (Kraft) and a confectionery company that wanted to be the best in their business (Cadbury). Well, we know who won that one and that in itself is very telling. I have always felt a close affinity for brands that are driven by being the best that they can be…whatever that means. But I also recognize that the strategy of being the best may not always yield the type of shareholder returns that a “biggest” strategy can deliver. And all this does is to beg yet more questions about the purpose of brands and the optimum strategy to satisfy that purpose. But this sounds like another blog posting opportunity to me. In the meantime, I’m intrigued to follow the Toyota situation. We may find out more uncomfortable things about their past but more importantly, right now, Toyota should be busy working on what it will take for them to be the best in the business because as sure as anything, they will no longer be the biggest.